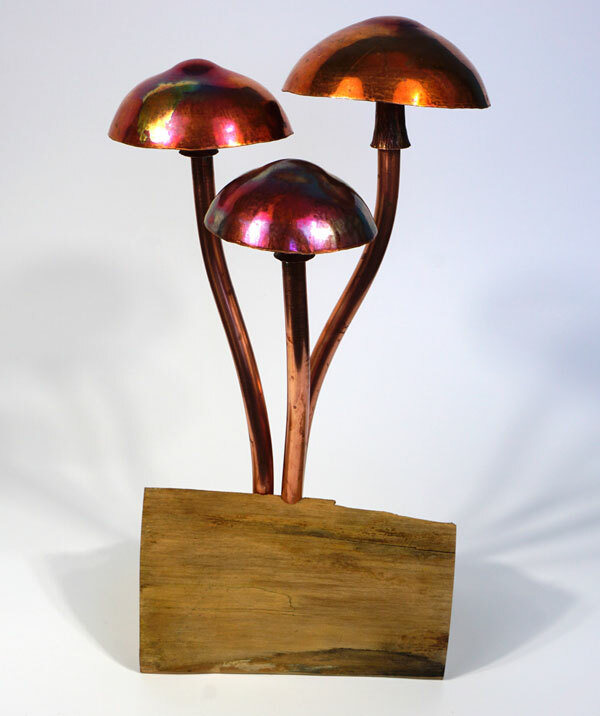 Three copper toadstools mounted on a wooden base. Each one hand beaten from pure copper. The colour of the copper, which has developed during manufacture, will quicikly change when left outside, but they will be perfectly alright in all weather. The wooden base is a made from natural untreated timber and may differ from the image. 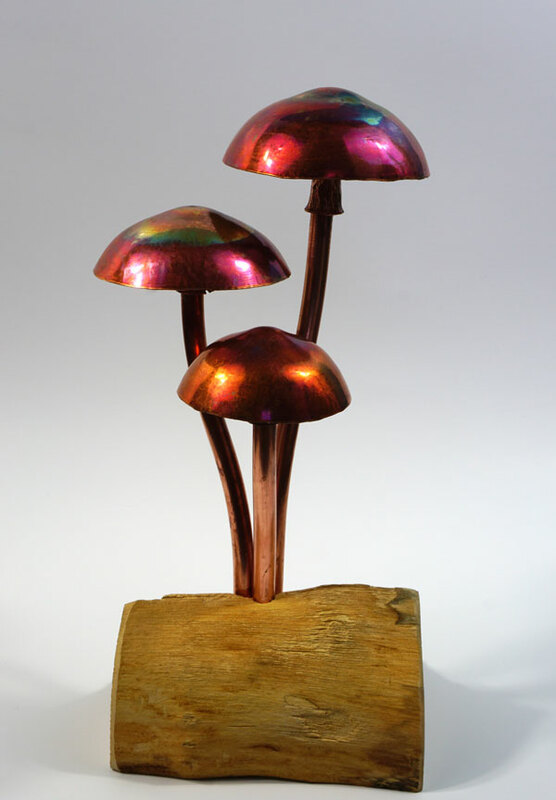 Made in Britain from pure copper to last a lifetime.